This rig was inspired by the "unknown ham from Idaho" minimalist SSB rig. With the success of the 75 and 80 meter ham band experiments that I had done in the past, I wanted to have a simple and inexpensive transceiver to bring underground. In week day I operate 7MHz CW on my shack. But in these days, on the 7MHz , my signal skips out from Japan and I can't contact any station after 10 o'clock. Therefore I decided to make 3.5MHz SSB and CW rigs. This project is real but at the same time a joke. In OH-land the rag-chewing channel on HF is 3699 kHz LSB. Many people meet there every day, sometimes all day. And more are just listening. 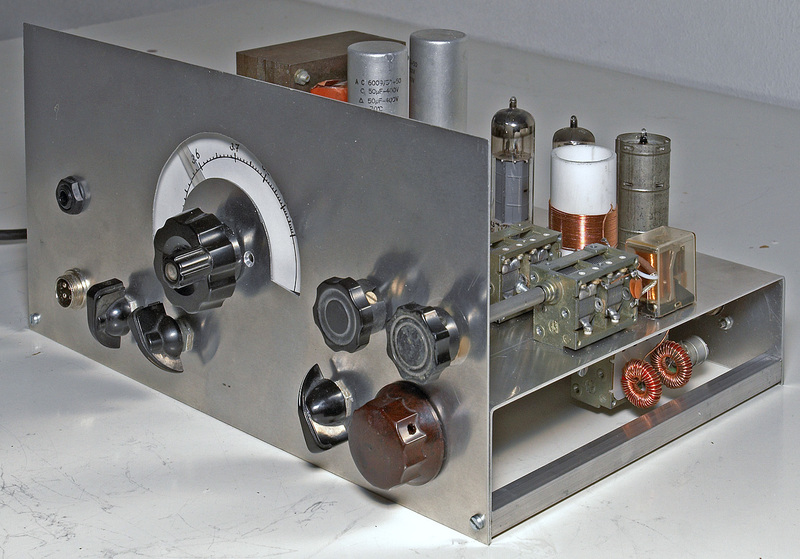 In fact those hams would not need more radio than this single channel LSB transceiver for 3699.00kHz. 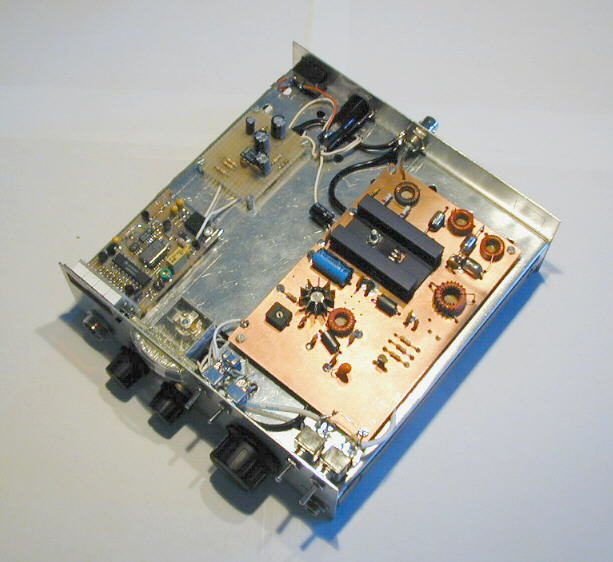 It is a DSB transceiver with an output of 5W. It is build around 8 noval tubes of the EF/EL series using a lot of material from Amroh, a form manufacturer of electronic components in the Netherland. The 80m SSB & CW transceiver design is based on an already proven concept used in ATLAS amateur transistorised transceivers from 70's. Being a VHF lover at that time, someday I was wondering what if I'd give to HF spectrum a try. I built a direct conversion receiver to listen on 80m band. JUMA-TRX1 is a direct conversion HF transceiver based on the previous JUMA-RX1, JUMA-TX1, JUMA-KEYER1 projects. It is driven by a stable DDS VFO and has the following features. ately I had a feeling of necessity of an 80 meter portable rig for use during traveling and camping that proved to be the main impetus behind the development of this little transceiver for portable use. I have many rigs for QRO and QRP, old and new. But still I wanted to build myself a simple SSB rig and feel the homebrewers satisfaction, when on the air with such a rig. Now that people are getting married, and having babies on the internet, isn't it about time someone designed and built an SSB rig on the net?